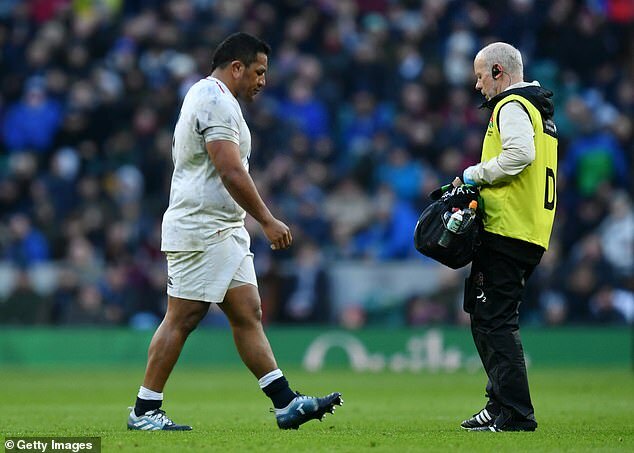 England have not called up any extra props to cope with the loss of Mako Vunipola ahead of the Wales match as Ellis Genge and Ben Moon were retained for a training camp. 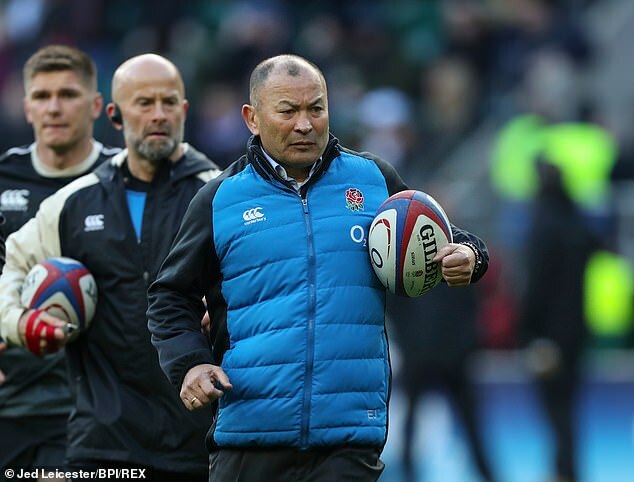 Eddie Jones gathers 25 players in London on Wednesday for a three-day camp, with the rest released to play for their Gallagher Premiership clubs this weekend. Alec Hepburn might have been the next loosehead prop to be called up in the absence of the supreme Vunipola, who was ruled out for 10 weeks with an ankle ligament injury on Tuesday, but the Exeter Chief will stay in Devon. Injured Maro Itoje and Dylan Hartley will continue their rehab with England, but are not expected to take a full part in training yet. As reported by Sportsmail, Dan Robson and Joe Cokanasiga will play for Wasps and Bath respectively this weekend. Dan Cole, Jack Clifford, Mike Brown, Ben Earl, Nick Isiekwe, Jack Singleton, Ben Earl and Ollie Thorley were also all made available for their clubs. 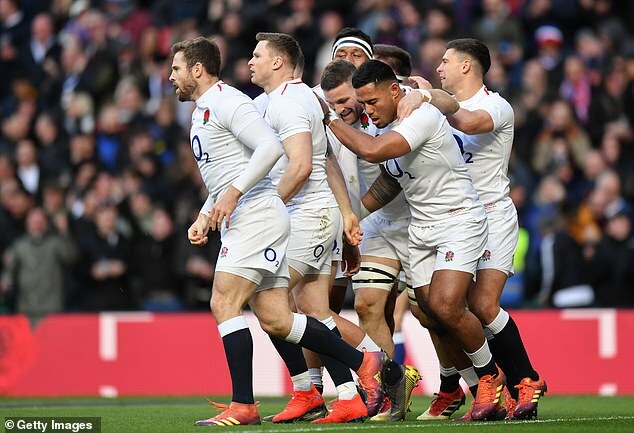 Robson made his England Test debut off the bench in the 44-8 win over France last Sunday, and is one of only two scrum-halves in the squad alongside Ben Youngs. But Jones has let him return to Wasps. This weekend in the Premiership Bristol host Wasps and Gloucester play Exeter on Friday night, then on Saturday Northampton face Sale, Bath play Newcastle, Harlequins host Worcester and Saracens welcome Leicester. There will be a smattering of Test stars across those fixtures.